A new year and new products! 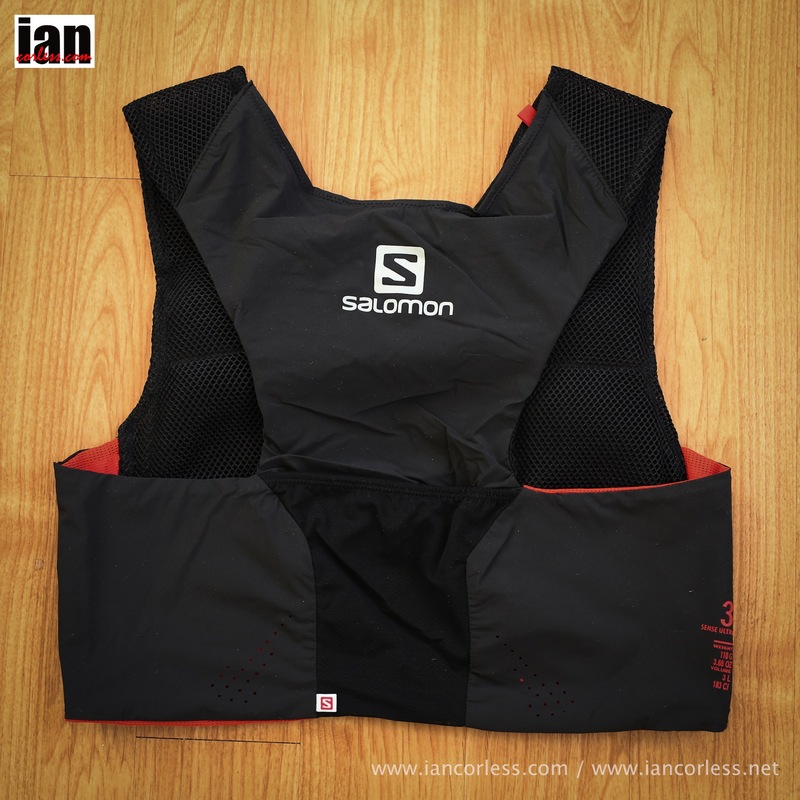 Nothing is more eagerly awaited than a new offering from Salomon and today I take a look at two new race vests from the French brand, the S-LAB SENSE ULTRA SET and the S-LAB SENSE SET. Race vests have become the norm in racing now and it’s east to see why. When the product works (and some don’t) they fit like a piece of clothing, they don’t move, they cause no chaffing and they provide easy and immediate access to everything you need while still pushing the pace. I honestly don’t know who first came up with the ‘vest’ concept, what I do know is I always remember Kilian Jornet finishing and winning UTMB and holding his vest above his head! Salomon vests and the S-LAB ADV SKIN HYDRO 12 SET can be seen in long distance races all over the world. Tweaked from one model to the next and the current incarnation has moved away from using a bladder to front mounted soft flasks. 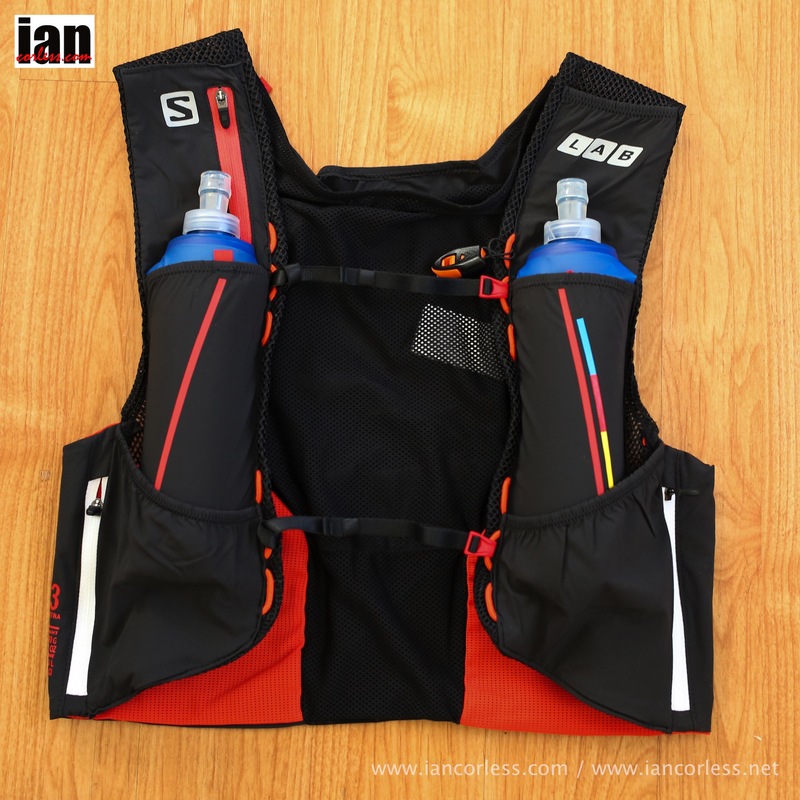 With a huge capacity, it’s often considered as one of the most ideal packs to hold all mandatory kit for a long distance race. 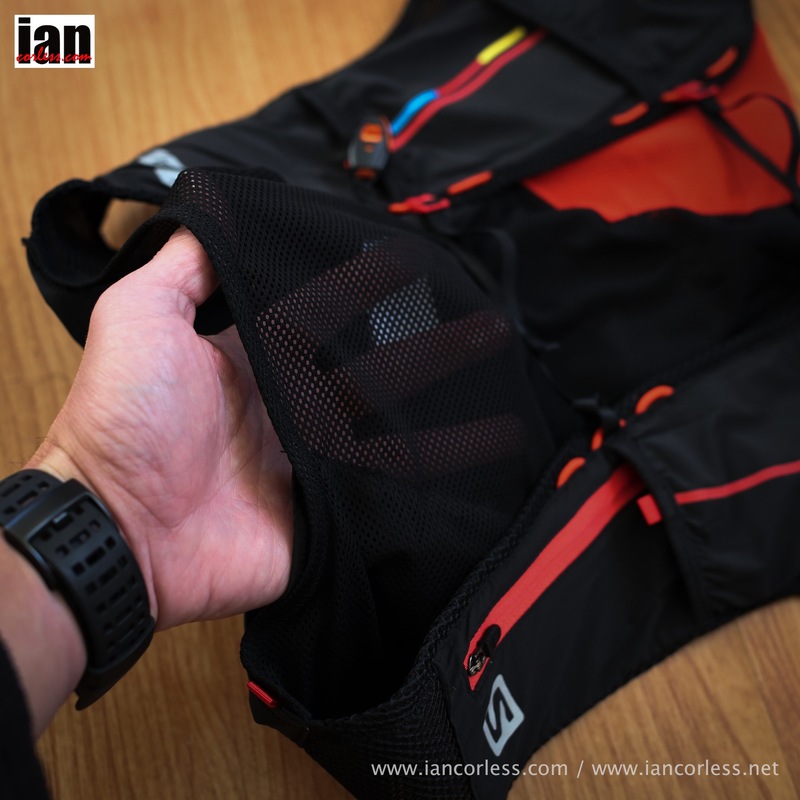 The pack is lighter and utilises all the key features that one needs including that snug form fitting hold on the body. However, 12L capacity is not needed for shorter and faster races. Enter the S-LAB SENSE ULTRA SET and the S-LAB SENSE SET. It’s unusual in a review that I would review two packs at once, however, these two packs are so similar that a separate review is not necessary. So, I am reviewing the SENSE ULTRA SET and I will note comments and changes as appropriate for the SENSE SET. So what is the difference? Simple: weight and capacity. The SENSE ULTRA SET has a 3L capacity and weighs a 110g. The SENSE SET has a capacity of 1L and weighs 90g. I am pleased to say that my two test packs are different colours, the 3L is black and the 1L is red. That’s going to make things easier. Both packs are identical at the front and differ at the back. This is where capacity is removed or added, so, let’s look at the front first. This is a really sweet pack! The layout is great, comfort is awesome and the capacity is ideal for any run when mandatory kit is minimal. Two 500ml soft flasks in two stretch pockets. Two zipper pockets (on each side) with large capacity made from a stretch fabric. Open ended stretch pocket on the left shoulder strap above the bottle. Zipper pocket on the right shoulder strap above the bottle. Adjustable fitting system (left to right) with three upper and lower settings. I have the M/L fit and it’s quite simply the most comfortable pack I have ever worn. The pack hugs the body, it does not rub and importantly under the armpits and around the neck area the cut is wide to avoid any nasty rubbing. The soft flasks sit on the chest and do not bounce. You can drink from the bottles without removing them when required, however, I haven’t been able to do that running. I need to stop, lean over, bite the bottle, take a drink and then push on… Soft flasks and tight fitting stretch pockets make for a tricky combination. 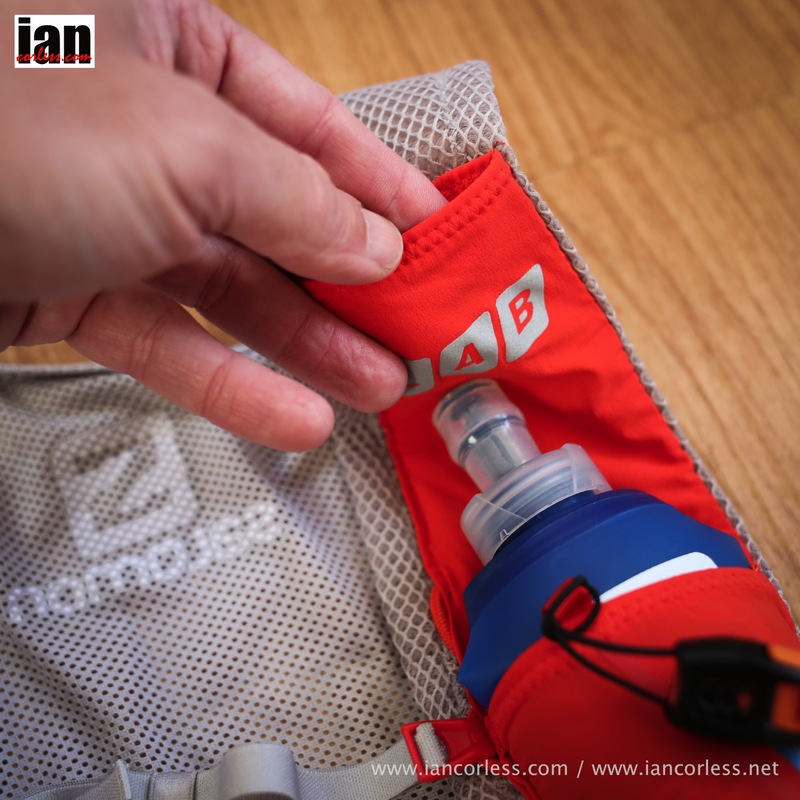 The soft flasks and the way they fit on the body are perfect, but trying to add a full bottle back to the pocket can be tricky. With practice it does get easier and a tip is to blow back into the bottle once you have taken a drink. This inflates the bottle and makes it more rigid. I personally have always preferred bottles over bladders and soft flasks and Salomon’s positioning make this combination the best I have tested. 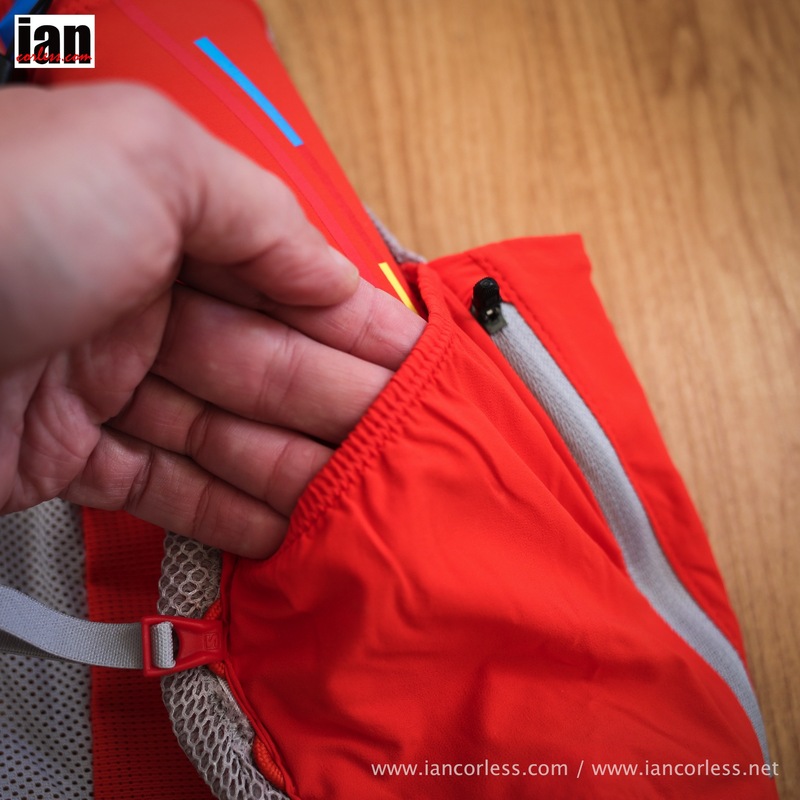 The upper zipper pocket will fit a phone or a gps device. I personally use and old style waterproof phone when racing and that fits perfectly. However, on training runs I have taken an iPhone 5 in a waterproof casing. So, capacity is ideal. The pocket is tight and stretchy and therefore whatever you put in is held tight with no bounce, another plus! On the opposite side the open ended stretch pocket is also large enough to hold a phone but is ideally suited for maybe food items or a music player. The two open ended dump pockets on either side of the pack below the bottles are large enough to hold multiple gels and bars and/ or items such as gloves, hat, buff or anything similar. To give you an idea of capacity, I could fit a beanie and gloves in one side and four/ five gels or bars on the other side. Ultimately it means you have plenty of room for energy when racing. Access is dead easy. Just put your hand in and pull the items out. The two zipper pockets are the secret weapon on both packs. I am amazed at how spacious these pockets are. 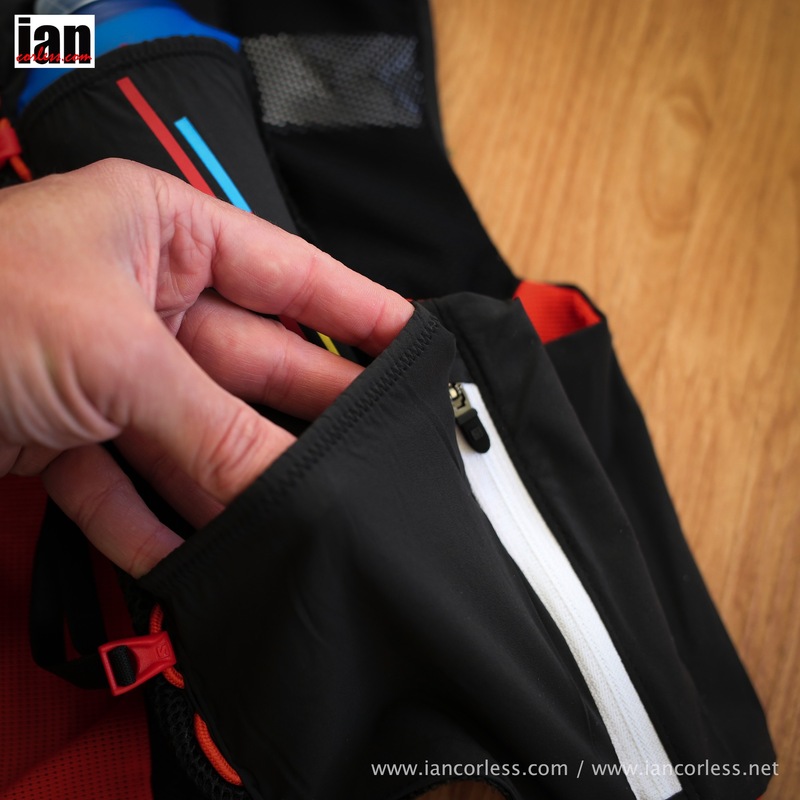 Depending on the race you are doing and also dependant on your own personal preferences; the zipper pockets will actually hold a taped seam waterproof jacket in one side and taped seam waterproof trousers in the other side! Salomon provided me the S-LAB HYBRID JACKET and S-LAB HYBRID PANTS (both medium) to test (review to follow later) and these items folded up and fitted in both packs perfectly. and then other extras such as Mp3, space blanket or other small items. 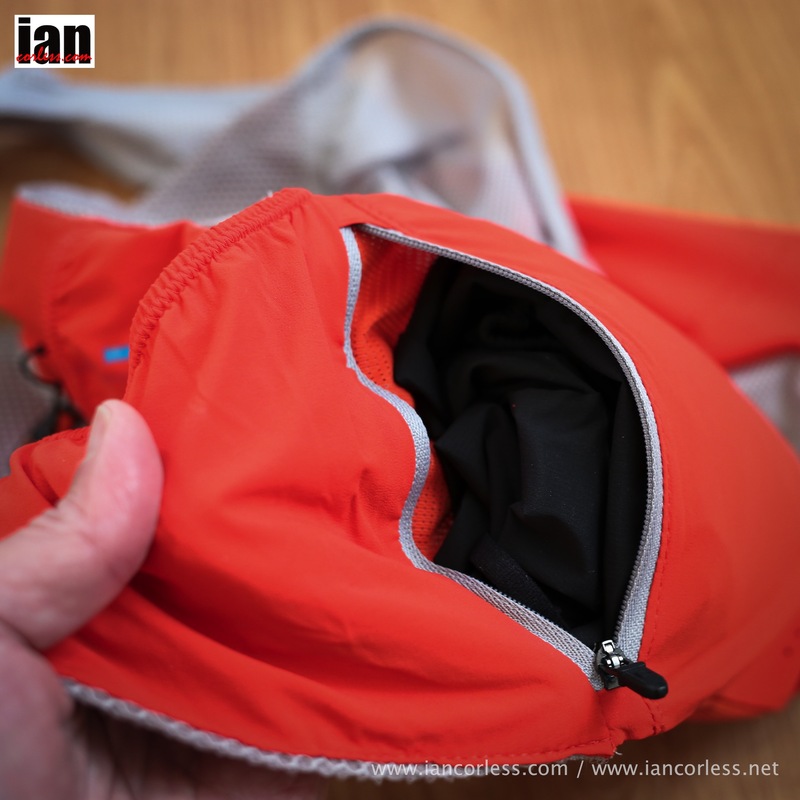 The SENSE ULTRA SET adds extra capacity at the rear in the form of two pockets. The SENSE SET is just a highly breathable and lightweight pack with no extras. 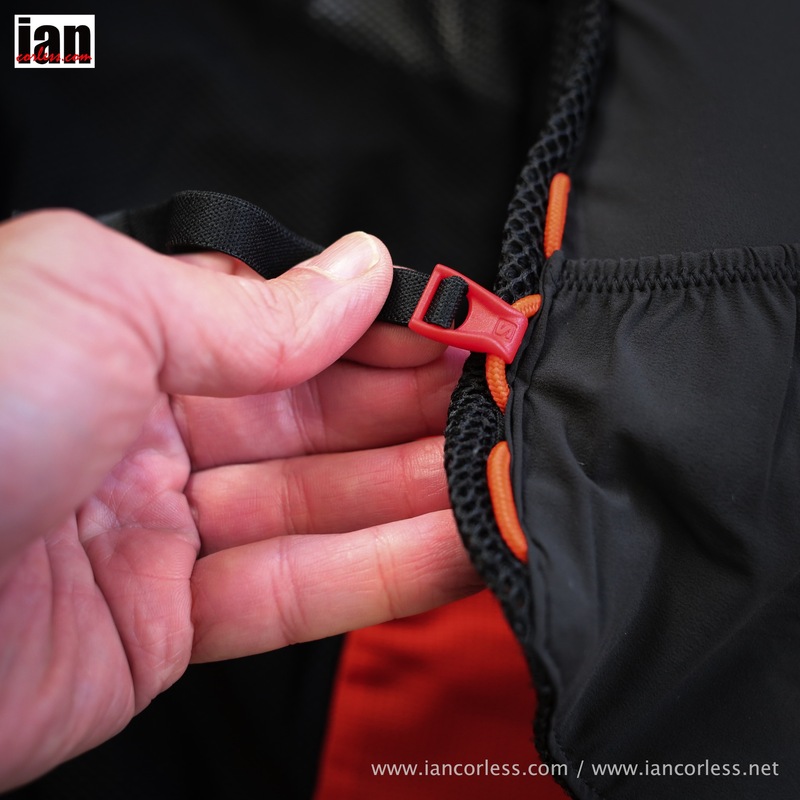 A ‘kangaroo pocket’ on the on the lower third of the rear of the pack provides an easy access open ended pocket that can be added to or taken from whilst moving. 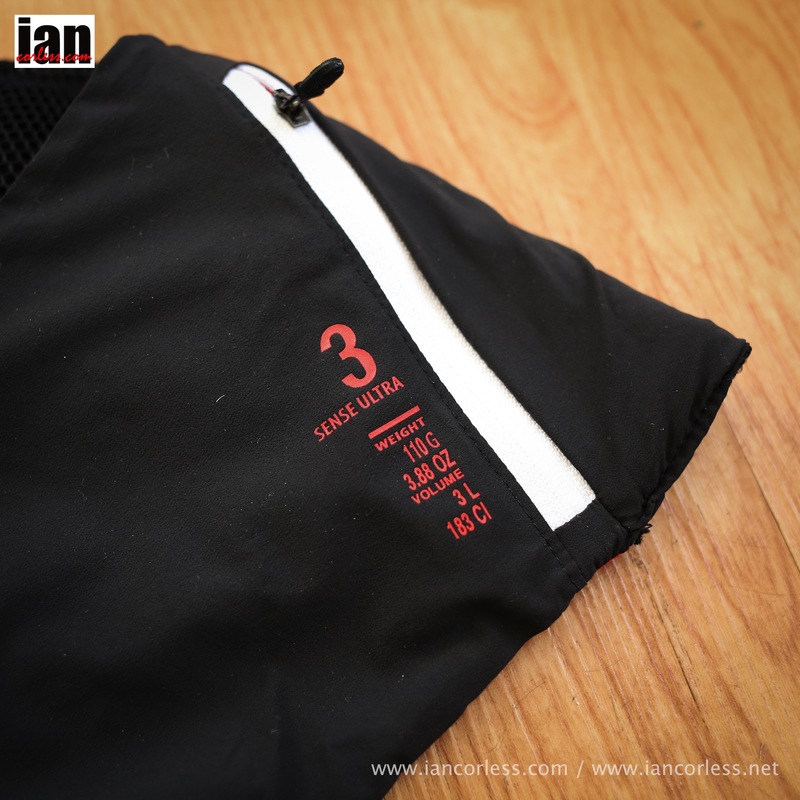 The pocket is quite small and would take a windproof jacket or food items. 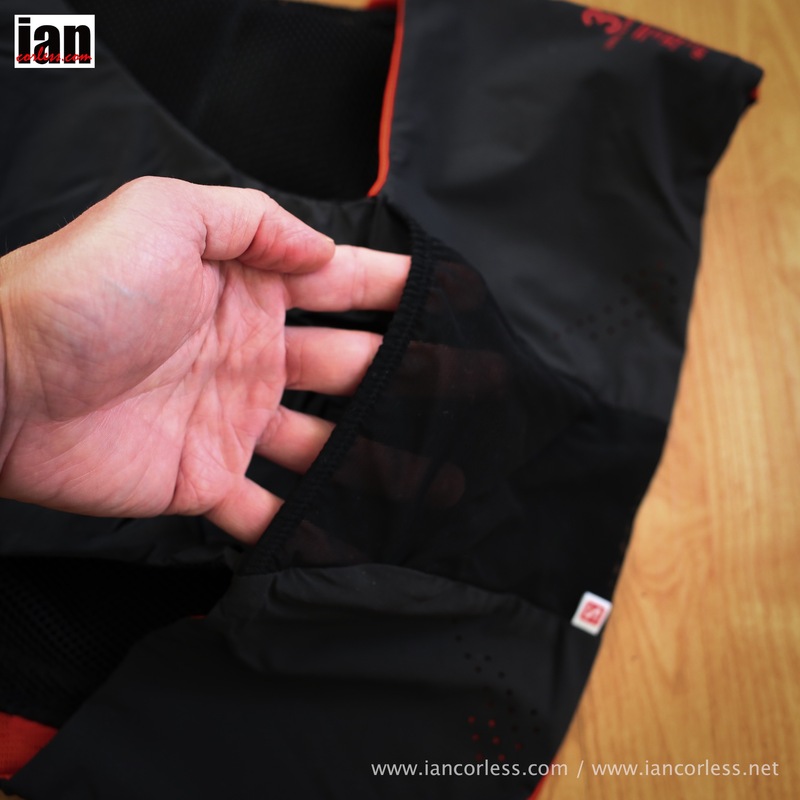 The mesh back panel is actually two layers and makes an open ended deep pocket that can actually be accessed without removing the pack. It’s surprisingly roomy and should you decide not to add a jacket and trousers to the zipper pockets, this pocket can hold both items. Yes, it’s that roomy! When running, it was easy to reach over, place my hand in the pocket and pull out my jacket. Of course, it was easier to do this if I stopped BUT this vest is very much designed about moving fast and light. 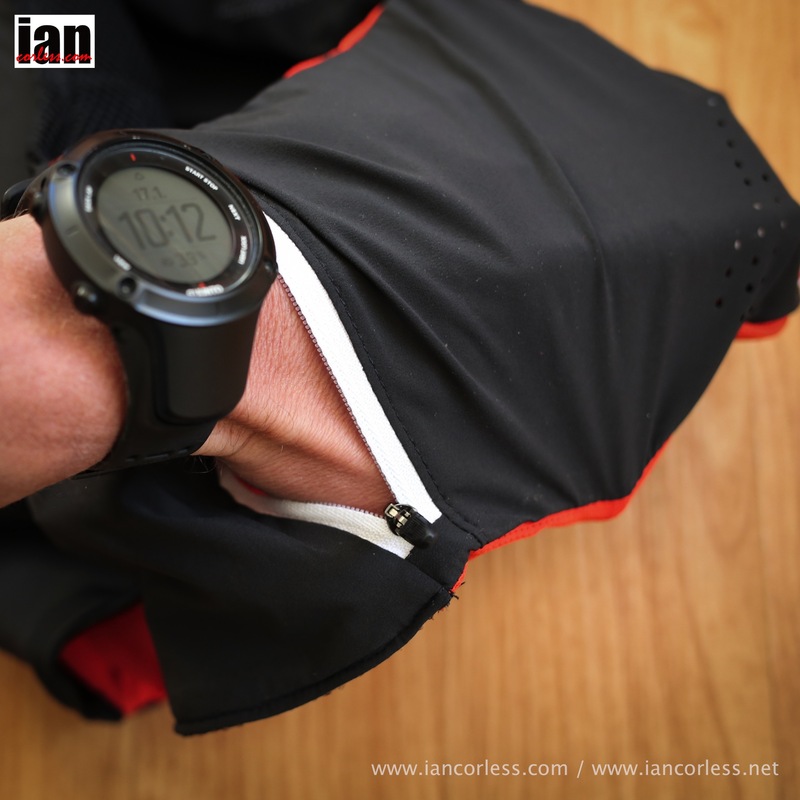 It’s a performance product and as such, should you have the need to be quick… this product will allow you that comfort! 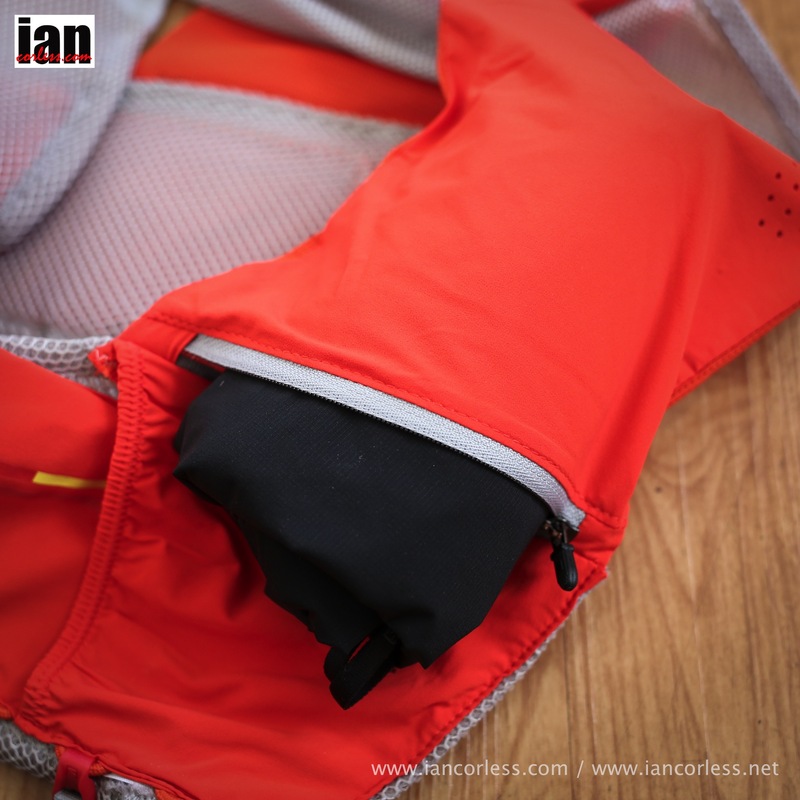 I have reviewed many products and last year I reviewed the stripped down inov-8 race vest (review here). This for me was a great product. I loved the feel of it, I loved the capacity and I loved its usability when running. For me though, Salomon have upped the game with the SENSE ULTRA SET and the SENSE SET and produced two sublime products that are a joy to wear and use. Considering the minimal differences between the two vests, I would almost certainly recommend that the SENSE ULTRA SET is the ideal purchase. From Salomon’s perspective, it almost feels an indulgence to have a 1L and 3L version. The added cost and added capacity of the 3L makes far more long term sense for me and lets face it, if you are running really long races, you will probably have the 12L product (or similar) anyway. On a final note, I am seriously impressed with the capacity of both packs. The SENSE SET at 1L holds a ridiculous amount of kit for something so minimal that I question if 1L capacity is correct? The SENSE ULTRA SET wouldn’t hold all the required items for a race like UTMB but it wouldn’t come far off if you were keeping items to a minimum. That said, the SENSE ULTRA SET makes a perfect and ideal pack for racing any distance (even 100-miles) when all you need is some liquid, food, jacket, trousers, hat, gloves, space blanket, phone and a few other small items. It’s arguably the perfect pack! Open ended dump pockets great for items that you need all the time – food, hat, gloves and so on. I am not sure how the pack would fit for lady users. The bottles would potentially sit in just the wrong place? 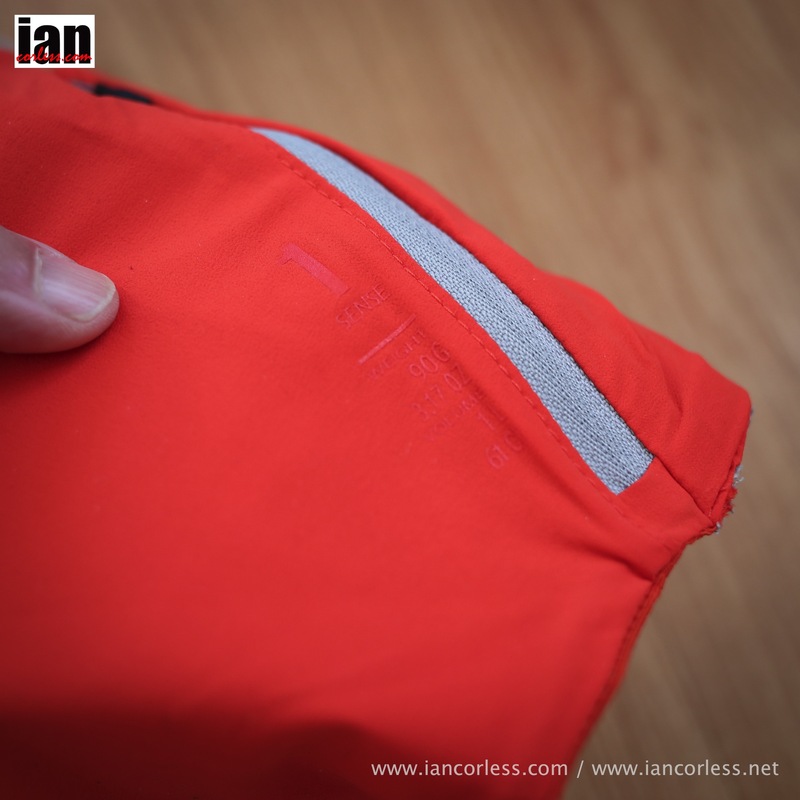 These are lightweight products and durability ‘may’ be an issue? I love these two packs. They actually make wearing a pack a pleasure rather than a chore and that is a real bonus. Capacity is quite mind blowing in both products and the SENSE ULTRA SET makes the most logical purchase choice as it provides more usage options. I actually found it difficult to come up with ‘cons’ for these packs they are that good! Ultra-lightweight running pack designed by Salomon Athletes. The Salomon S-LAB Sense Ultra Set weighs in at 110g and is designed to carry the bare essentials in absolute comfort with a 3L capacity. Ultra-lightweight running pack designed by Salomon Athletes. The Salomon S-LAB Sense Set weighs in at under 100g and is designed to carry 1L of the absolute bare essentials. This entry was posted in Equipment Reviews and tagged 1l, 3l, Emelie Forsberg, Francois d’Haene, hydration, Kilian Jornet, packs, rucksack, Running, running vest, s-lab. pack, Salomon, SALOMON S-LAB SENSE SET, SALOMON S-LAB SENSE ULTRA SET, Sense, sense products from salomon, Slab, Soft Flask, trail, Trail Running, Ultra, Ultra Running, vests. 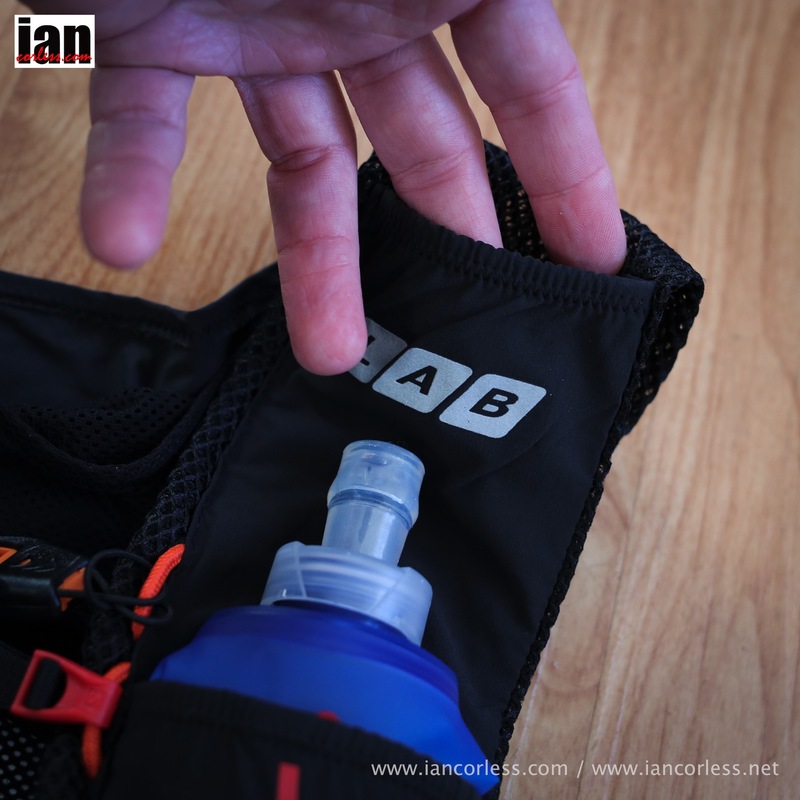 s-lab vests by talkultra. Bookmark the permalink. I agree with you! I tried the Ultra Set on Hong Kong 100 and it is very, very good. I do not think durability will be an issue. Thanks for the nice review. I wonder if this pack has a system to carry poles with you ? And secondly about the UTMB kit list, the earlier Salomon skin 12l did have sufficient capacity to carry al that gear. Is this pack smaller than the earlier one, given you say the UTMB kit will not fit? Greg, Salomon Skin 12L is 12L in comparison to to the 3L capacity of the SENSE ULTRA SET – that is 25%!. Big difference and why all UTMB mandatory kit will not fit. It has no pole attachments. Great review. I think I am going to get one of these for Western States. Perhaps the Sense Set as I’m most concerned about carrying enough water and food during the day, rather than a huge list of required kit like UTMB. Like most, I have a bigger bag (UD SJ) so the minimalist Sense would be the obvious compliment. Thanks for the review, Ian. Rene, they are available now. Very pretty and great review. Nice to have a note about where the bottles sit for women. It does get a bit tricky at times haha!! Great review, thank you for the info. I was wondering if you could compare/contrast the actual flask pockets of this new vest with the ones on the Adv Skin Hydro 12 set. I know it is not the design but I sometimes use hard bottles in these pockets and can get 24oz Specialized bottles in and out pretty well. That would be one of my interests along with any other changes to size, shape, or stretchiness of these pockets. Well, sense set has two 500ml soft flasks, so pockets for those two flasks alone has the capacity of one litre.,, It looks like each side pockets could hold maybe three 500ml soft flasks, so the real capacity for sense set would be something like 5-6 litres? 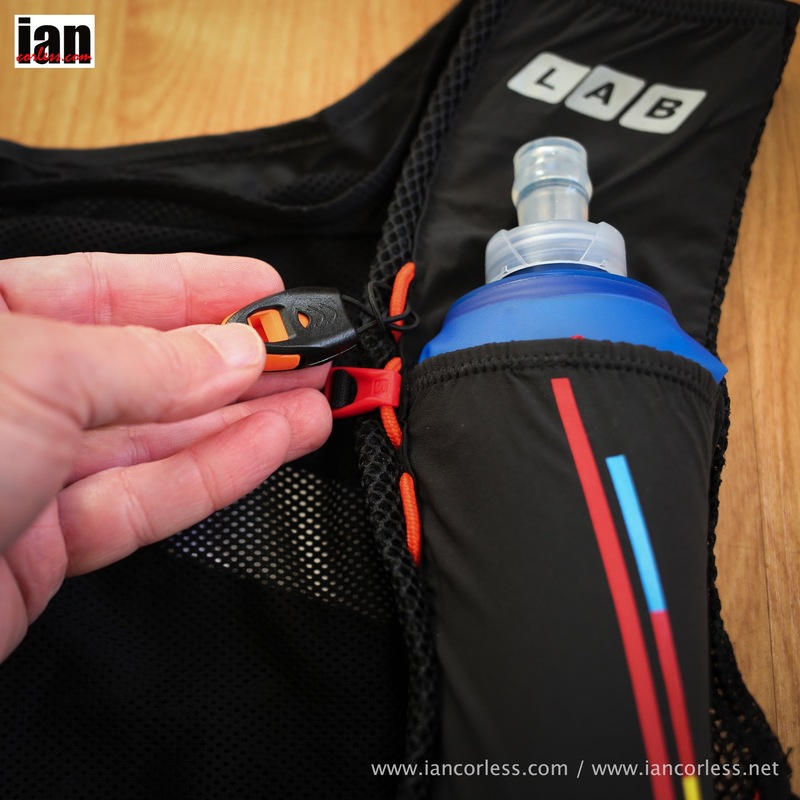 No – the pack holds just two 500ml bottles and you can not fit additional 500ml bottles in the drop pockets or the zip pockets (I tried). 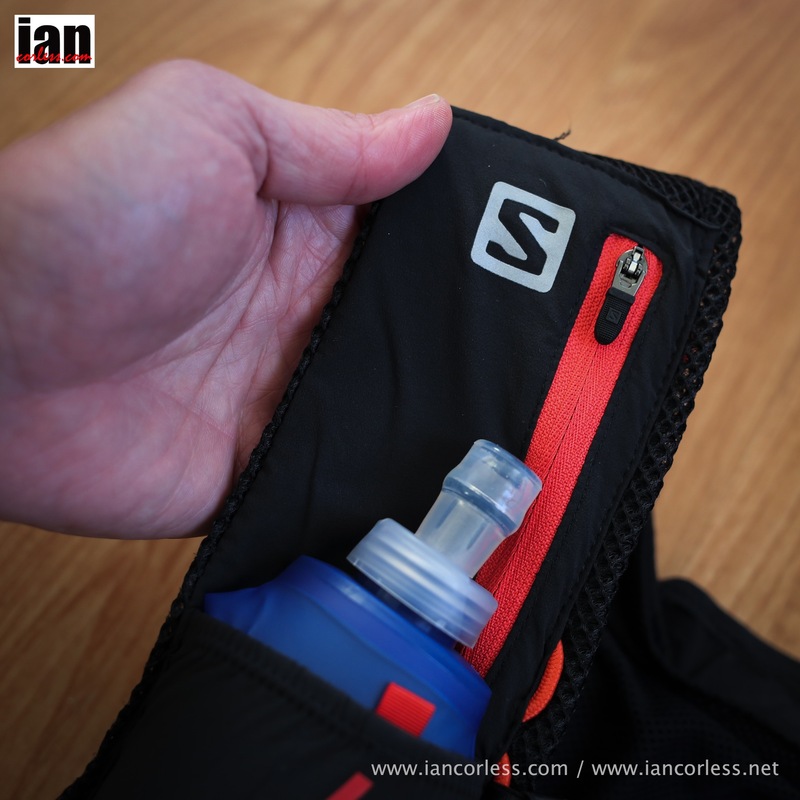 You could however fit 250ml soft bottles in the zip pockets… but I wouldn’t recommend it! I have used the S-Lab 12L for over a year now and love it. I am a really large runner (6’6″ 235lbs) so I need lots of fluids even through the winter. My biggest gripe with it is one of the clasp is cracking and will fail very soon (I am sure in a race with any luck). I called, emailed, and facebook posted to Salomon. They do not offer ANY replacement parts (not counting flasks) for their hydro packs (mind blowing). So buyer beware that your $185+ pack could be rendered useless for a piece of plastic that is less than 5 cents. I am sure I will be able to rig it up and continue to use it but would probably not order this newer model even though it looks and seems great. I wouldn’t call it a durability problem either because I understand things will break and I have used it a lot in a year. I would call this a lack of support for their product and in effect a lack support for the customers. Excellent review. Salomon keeps lifting the bar! How do you think it goes against the new (2015) Inov-8 race ultra packs ? Would be awesome to know your preference and why. Hi Hugo, sorry only just seen your message. 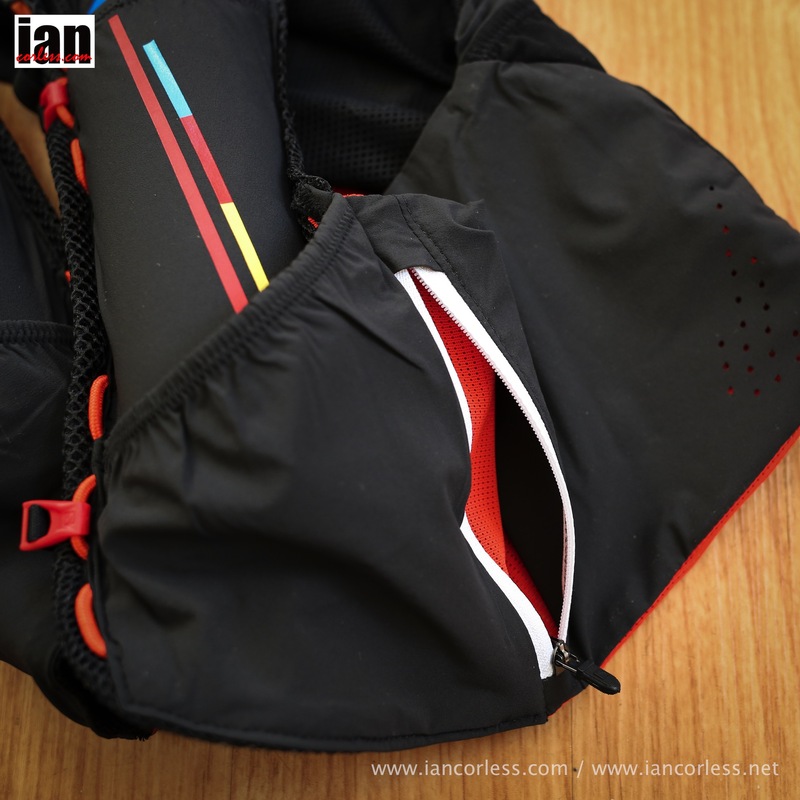 The inov-8 pack when I first reviewed it was a revelation. Great pack and still is. But the Salomon packs are very special indeed. You also need to consider like for like! 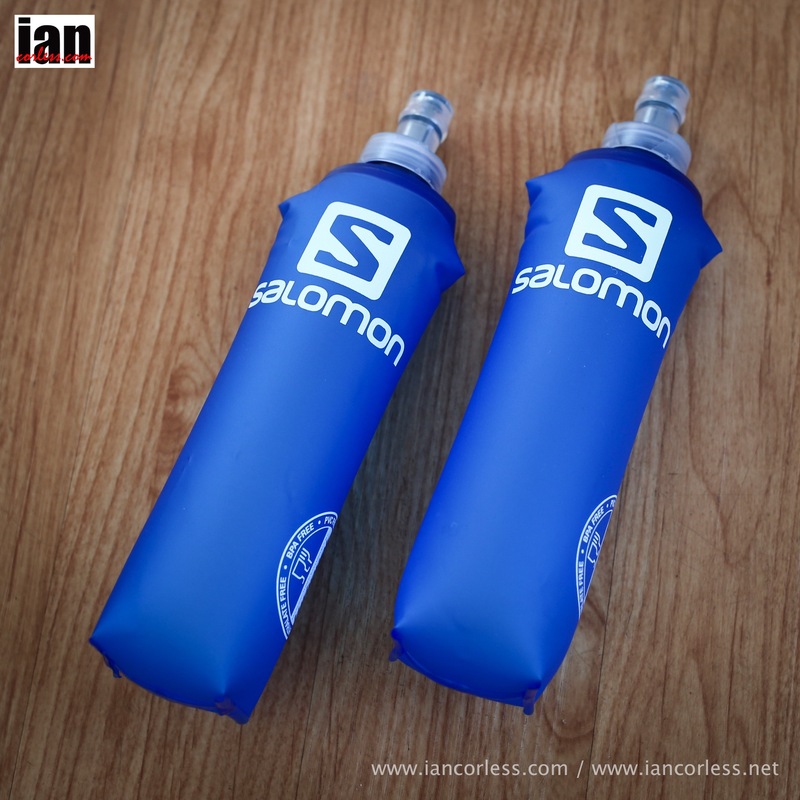 These Salomon packs are 1L and 3L so smaller than the inov-8. To wear, the Salomon gets the edge in my opinion. Great review! Definitely are considerations for a new pack this year! Any thoughts on how this compares to the Mountain Hardwear Fluid Race Vest? Thanks! I tried mhw fluid pack and it’s waaay better than salomon. Don;t get me wrong I really like salomon products but Fluid pack is just awesome fits amazing. 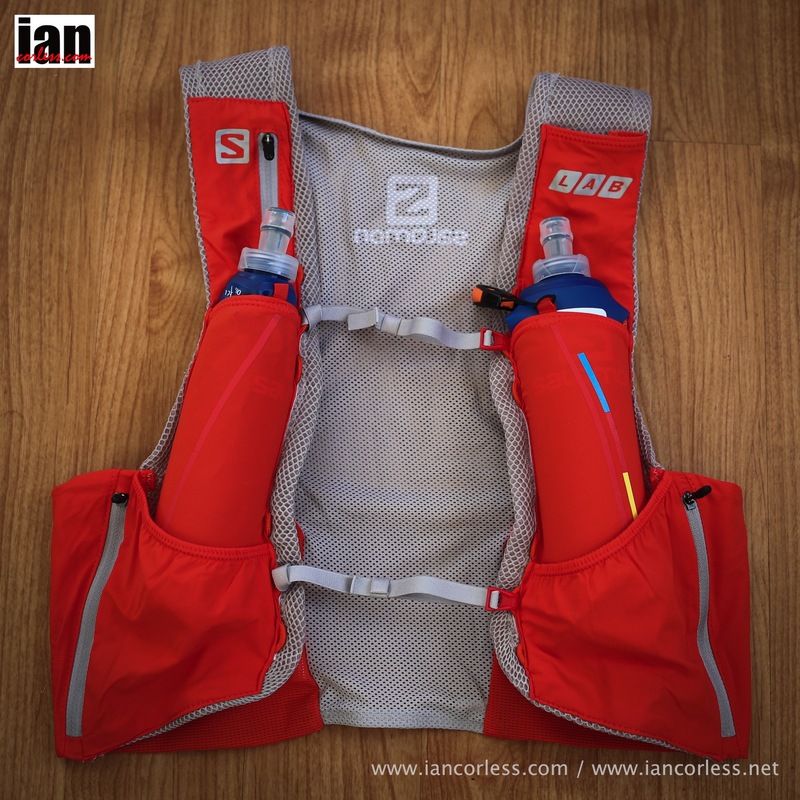 Francois D’Haene and Tofol Castanyer seemed to wear prototypes of these packs in the UTMB 2014. But how did they fit all the mandatory gear ? Or are those just different packs, and if so, which ones are those ? Hello, you said that M/L is the perfect size for you. It is possible to know your size ? I’m 1m80 for 61kg, do I need to take Xs/s or M/L . Thanks for your answer and excellent review. I’m 59kg, 1.75m and 36″ chest. Would XS/S be suitable for me? On the strength of your review I got the Ultra Sense Set in XL from Castleberg Outdoors, who seem to have some sort of exclusivity arrangement here in the UK. Very efficient & prompt service from them. It didn’t disappoint. This is without question the most impressive bit of gear I’ve ever owned. The sense of wonderment and “next-level-awareness” when wearing it for the first time was similar to how I felt the first time I unboxed and used my first iPhone…. its a remarkable piece of kit. I’m staggered by how much kit I can fit in the front of the vest alone.Car keys, cash, phone, 1L water, gels, salt tabs, gloves, hat, spare buff, spare shirt and jacket are all easily and comfortably stashed in the front of the vest. I’ve not had to use the rear pockets yet. The fit and feel even when fully loaded is incredible. Like you I struggled initially with pocketing the bottles, but the knack was easily acquired. It’s the first time I’ve used the soft flasks and was wondering what your experience was with durability? They seem unfeasibly light and was fearful of punctures. I was thinking about investing in some spares just in case. My Salomon S-Lab Sense Ultra Set 3 l did not last a full 100 miles run. The back mesh now have holes in it from the chafing from a _padded_ battery. Thanks for the feedback. Have you passed this information back to Salomon? We are currently putting the 1L and 3L through the paces and no issues on durability yet. May well be a one off? If they read Twitter (@SalomonRunning). Try having something other than soft clothing in the back (3 liter version) during your tests. My bet is that the mesh will break. I got my money back for the Salomon and are currently testing the Inov-8 Race ultra 10. 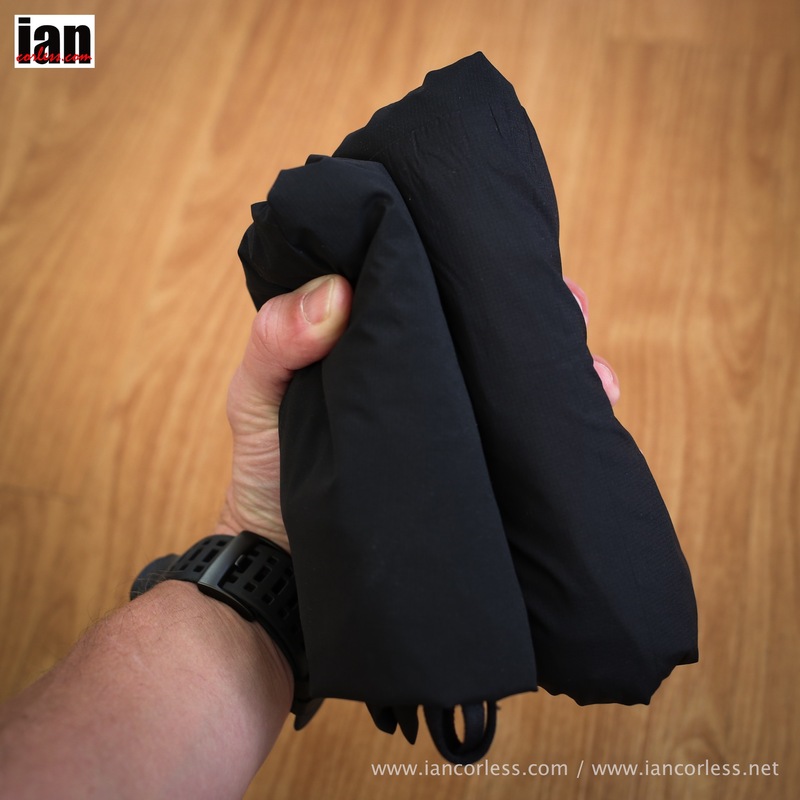 Any comments on sizing Ian? Would love to know what the knack is for getting full flasks into the front pockets – I’m really struggling! I have had the Sense Set for over a month and it is nothing short of fantastic. It weighs less than many running shirts, carries what I need for short her runs, it breathes very well, and I love that I can drink from the flasks without ever removing them. short question: would it be possible to use an bladder with the Ultra Set if one would want to? Dear Ian, How might we locate the Red ones? all I see are white and black versions of both. Internet search proved unfruitful for me. Anyone know if the one you tested was for testing only and not production model? I know its only a colour but I’m tired of black, and white is just boring and will show its wear more. Red just seems so….. right! 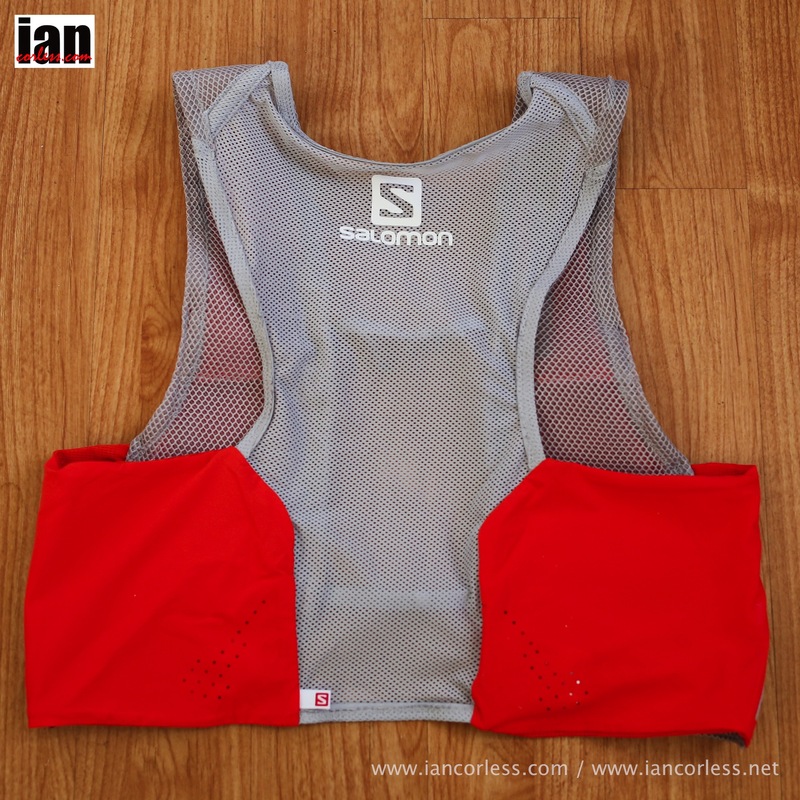 Pingback: Review: Salomon S-Lab Sense Ultra Set (by ‘The ReAwakenedRunner’) | Just Run Lah! Excellent thorough review! Thanks Ian. How is the sizing in these packs? I wear salomon clothes in size M.
I also fit best in M/L with the skin3 5l set. My chest is size 37.8inch. Do you recommend me to get the M/L size in this one too? I would go S/M I think but make sue you try it! 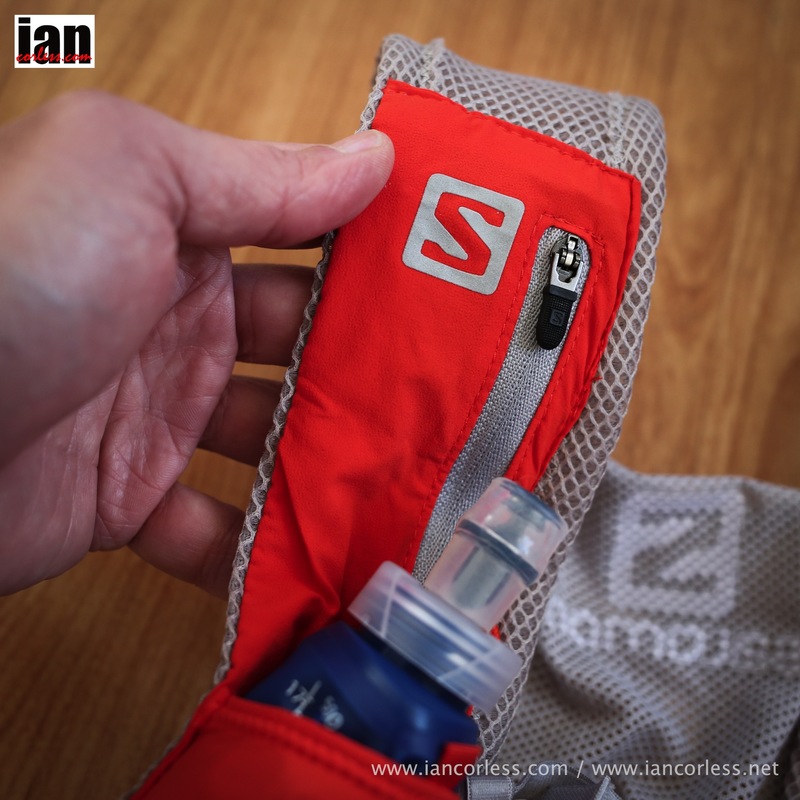 Would the top back pocket in the Sense Ultra hold an additional soft bottle (or two)? That possibility might make it a good choice over the Adv Skin3 5 Set for me – want more fluids capacity of the but don’t need all the extra volume of the 5 Set. I am wondering if you had any issues with your arms or hands rubbing against the dump pockets when they are full ? I received the small size (but exchanging for a M/L) and packed with kit and noticed this was an issue for me. It might be resolved when i have the larger pack. Thanks. As the SENSE ULTRA SET has a two layers back, can you tell me if perspiration go out as well as with the S-LAB SENSE SET wich is made of a one layer mesh back. Ok, I understand so both are really equivalent only volume differ. im only concerned about wearing the coolest/coldest one. which dissipates the heat best. i have the 12set for longer runs when more liquid / gear req’d. thoughts?